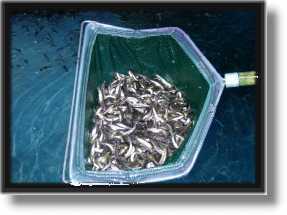 We only handle fresh, "exotic species - free" bait fish. Keep 'em cool... 50 degrees or less. Running water with plenty of oxygenation without turbulence is best.